Lock in a great price for Hotel Peace N Park – rated 8.3 by recent guests! Sandeep and the Lady at the reception are amazing. Really helpful and down to earth! Staffs are very helpful, They reached me out a day before I arrive to offer whether I need a pick up service etc. The price was the cheapest deal. Location is very good, at the heart of Thammel area. Bed was nice and comfortable. Bathroom was OK. Hot water was working. Even a staff gave me a good luck scarf before I left this hotel. Such a sweet thing! It was a nice stay overall. Welcoming behaviour of the receptionist. Cozy beds. Hot showers. Great value for money. Very comfortable place to stay. 100% value for money. Location is also awesome. very near to the happening places in thamel. all walking distance. and the staff is very very friendly and helpful. Very nice behavior. He helped me alot during check out. Very nice and quiet hotel. Good value of money, we stayed here twice because we loved it! Hotel Peace N Park This rating is a reflection of how the property compares to the industry standard when it comes to price, facilities and services available. It's based on a self-evaluation by the property. Use this rating to help choose your stay! Operating a 24-hour front desk, Hotel Peace n Park is located in Kathmandu. 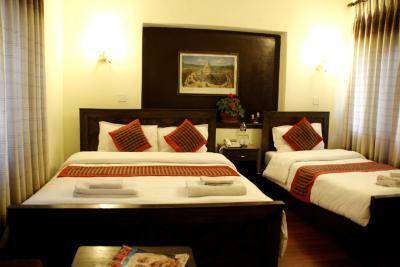 It is 1,650 feet from Royal Palace and 1.6 mi from Durbar Square. Free Wi-Fi access is available. 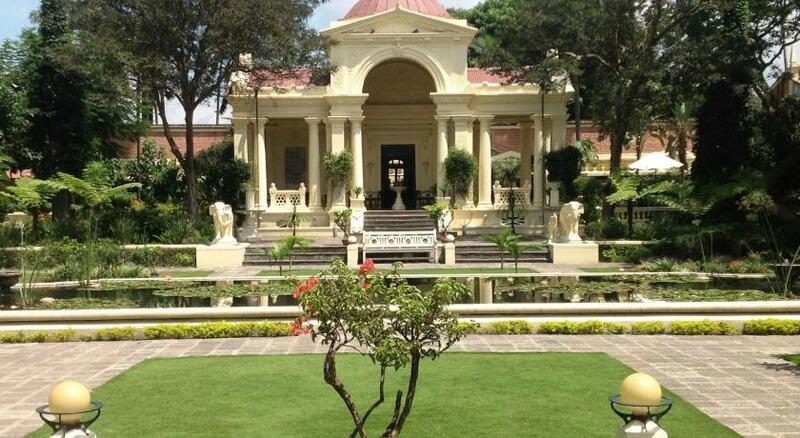 At Hotel Peace n Park you will find a 24-hour front desk, a garden and a terrace. Other facilities offered include a tour desk, luggage storage and a laundry. A car can be rented. The property is 1.9 mi from Swayambhunath Temple. It is 0.6 mi from Tourist Bus Station and 4.3 mi from Tribhuvan International Airport. The in-house restaurant serves Indian and Chinese delights. Room service is available. 뀐 Located in the real heart of Kathmandu, this property has an excellent location score of 8.9! When would you like to stay at Hotel Peace N Park? This double room features a cable TV and seating area.There is access to a shared bathroom and toilet. Located at a peaceful environment. At the center of the city. Area Info – This neighborhood is a great choice for travelers interested in shopping, hiking and food – Check location Great location - show map Guests loved walking around the neighborhood! House Rules Hotel Peace N Park takes special requests – add in the next step! Hotel Peace N Park accepts these cards and reserves the right to temporarily hold an amount prior to arrival.